Have you heard of Outdoor Tech before? Just in case the name sounds familiar to you, that is because this is the very same outdoor designer brand which brought you the Turtle Shell rugged wireless boom box, and this time around, Outdoor Tech is raring to go with the Tuis premium headphone that is actually part of Outdoor Tech’s growing wireless assortment. The Tuis is no slouch when it comes to capabilities, where it will boast of a host of convenient and well-designed features, where among them include integrated music/call controls, a rechargeable lithium-ion battery that is capable of going on for a good 16 hours of play time and 19 hours of talk time, in addition to premium Hi-Fi sound quality, of course. After all, isn’t that why you decided to settle for a premium headphone in the first place? Whenever someone throws out a superlative word, you cannot help but wonder just how the heck did they arrive at such a conclusion. Was the label warranted just because of some in-house tests, or has it been independently verified? 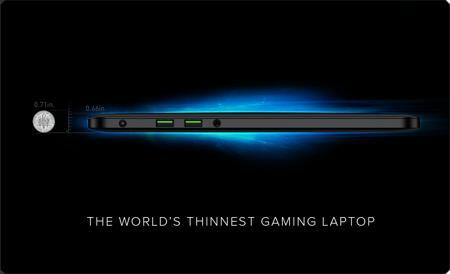 That is the big question that we have concerning the Razer Blade, but since Razer has been pretty much a reliable company for the longest time in the world of gaming, it goes without saying that to see Razer slap on the label of “The World’s Thinnest Gaming Notebook” on the Razer Blade is a trustworthy saying. In fact, the Razer Blade comes across as thinner than a dime, sporting a 14” HD+ display, running on a quad-core Intel Core i7 processor, alongside NVIDIA GTX 765M as the graphics card of choice. iFi – Stands for I Found It! I used to be pretty organized, then I got married, had a child and started collecting stuff. Now it takes me an extra 40 minutes just to get out the door and countless hours trying to keep track of things. Forget taking a vacation, it’s almost too much work, who’s got the camera, the keys, the suitcases? Do you have your phone? Something is always lost or forgotten, is there a way to avoid it? 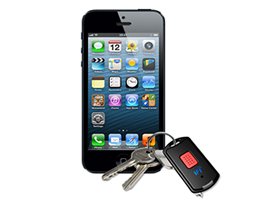 Read moreiFi – Stands for I Found It! What is the meaning of such sorcery? Yet another line is being breached in the world of technology, as the Ultrabook is no longer an ordinary Ultrabook with the release of the Toshiba Portege Z10t. In fact, Toshiba’s latest release would clearly make this the first device that runs on the Windows 8 operating system from the company that was specially designed for business users. 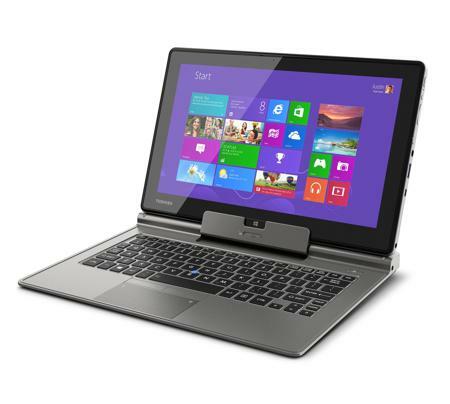 It is a versatile device by any means, where it is capable of functioning as an Ultrabook whenever the need arises, and if you find yourself in a situation where a tablet is more suitable to use, then the Toshiba Portege Z10t can also double up as that, too. Do you think that students today are a whole lot more pampered compared to the students of yesteryears? Perhaps, but each generation always has their fair share of challenges and issues to contend with and work through. For instance, students of yore had to settle for heavy textbooks that could break one’s back if you were not careful, not to mention having to lug all of these along with their paper notebooks (mention notebooks these days and chances are folks will think that you are talking about a MacBook) to their respective classes. Well, schools these days have taken steps to jump aboard the paperless revolution – at least according to what their budget allows, that is, and some higher education institutes have started to purchase tablets like the Apple iPad for use in the classroom. These iPads certainly come in handy, where it takes testing, studying and note taking to a totally new level. The thing is, there are always two sides to a coin – where wireless keyboards for the iPad in a classroom would require teachers to simultaneously pair multiple iPads with multiple wireless Bluetooth keyboards. Good to know then that Swiss peripherals manufacturer have got your back with the Logitech Wired Keyboard for iPad. It’s almost here, the dog days of summer, I know most folks are looking forward to it, but I guess I’m just not a big fan of the heat. Sure it’s nice to go somewhere tropical in the dead of winter, but there’s a big difference between laying around with drinks that have oranges and umbrellas in them and actually having to go to work, and the store… even my dog is starting to pant already. LG has just announced that they have introduced yet another color variation of the LG Nexus 4 device, where this time around it would ditch the regular dark shades which tend to signify the business market segment. LG’s attempt this time has ended up with the LG Nexus 4 White, which so happens to be the latest edition of the popular smartphone that was specially developed in collaboration with Google. 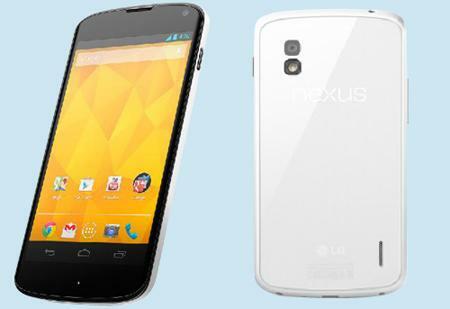 The LG Nexus 4 White would not trump the regular LG Nexus 4 when it comes to hardware specifications, as the only difference would be the added prestige that you carry a white color version of the smartphone. 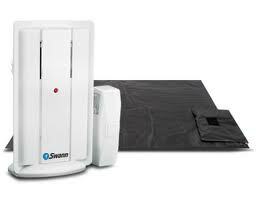 Swann Doormat Chime – Are You In or Out? We just adopted a homeless dog, his name is Hamilton and he is fitting in with the family quite nicely, he loves the car, plays fetch and came already potty trained. Problem is, we’re never exactly sure when he’s telling us he needs to go out, so we keep dragging him out into the yard at any hint of pacing or whining… only to be met with a ‘what the heck?’ look. Read moreSwann Doormat Chime – Are You In or Out?